One of America's favorite (or most divisive) candies for Valentine's Day may be in short supply this year. 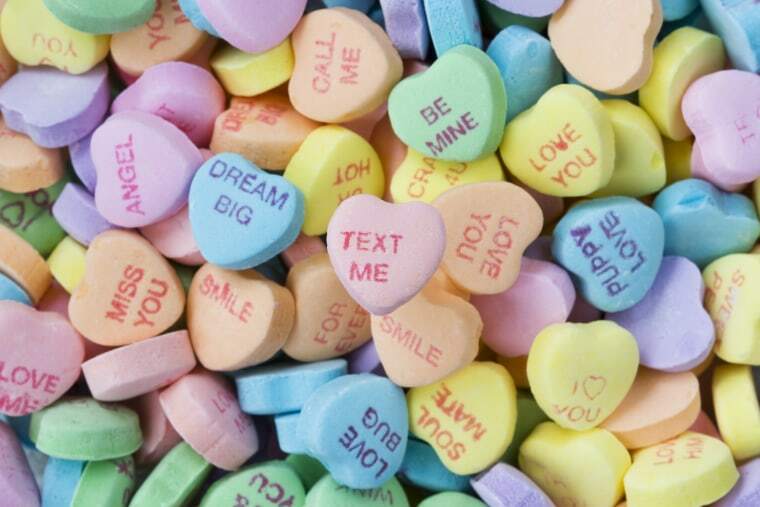 The makers of classic Sweethearts, known for the cute messages imprinted on each candy heart like "Be Mine," "Cutie Pie" and "Kiss Me," say that the sweet treat won't be returning to store shelves until Valentine's season in 2020. In a press release on the Spangler Company's official website, Spangler Chairman and CEO Kirk Vashaw said, "We look forward to announcing the Sweethearts relaunch for the 2020 Valentine season." So basically that means there will be no new packs of Sweethearts for valentines to hand out in 2019 and anything that you find online or on store shelves was made prior to the factory closing in July 2018, according to the company. A different representative from Spangler added that while they are "aiming" to get the candies out by next year, it might not be a sure thing, so the company is advising fans to check out its social media channels. What's a tongue-tied person in love to do? After all, according to CandyStore.com, Sweethearts were the most popular Valentine's candy in the U.S. in 2018, and 8 billion were made annually in years prior to satisfy that demand. Wait—are you telling me no more Necco wafers?!?!? No. This cannot stand. Well, there are plenty of the brand's conversation hearts for sale on Amazon and Ebay, though they won't be fresh. And while this type of hard candy may be able to last for up to a year, its quality might be compromised. If you do get a pack and it's sticky or really grainy, candy experts say it's best to just toss it since it won't be such a sweet gift if it makes your lover sick. Consumers may also opt for an alternate treat, like Jelly Belly's Conversation Beans or Cupid Messages M&M's, to send a loved one a romantic note. Brach's also makes Conversation Hearts and Wonka's SweeTarts Hearts contain embossed messages, too. But there's nothing quite like classic Sweethearts. According to Spangler, Sweethearts have been around since the 1860s. Over the years, they've even changed a little with the times, to include messages like "Fax Me," and now "Tweet Me." "Many people have memories of sorting through their box of Sweethearts to find just the right message to share," said Vashaw in the press release. Here's hoping the conversation hearts do make a sweet comeback in 2020.